Each figure has multiple points of articulation. 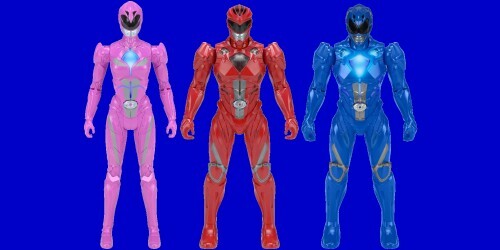 Red ranger comes with a sword while the others get a blue energy blast. Alpha 5 figure also available. Press the ranger's morpher to activate the pulsing light on their chest. Only available in Pink, Red and Blue. Evil doesn't stand a chance against these super sized rangers. 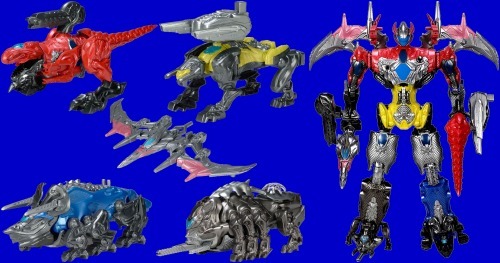 For the first time the zords are sold separately. When combined they create the Megazord. 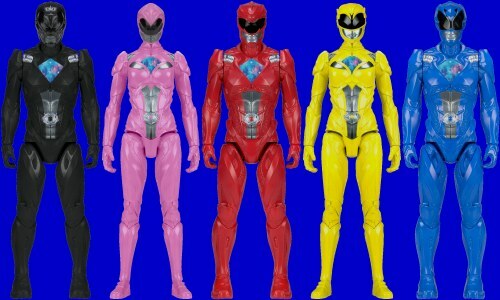 Each zord comes with its respective coloured mini figure. SRP: £19.99 each, T-Rex SRP: £34.99. 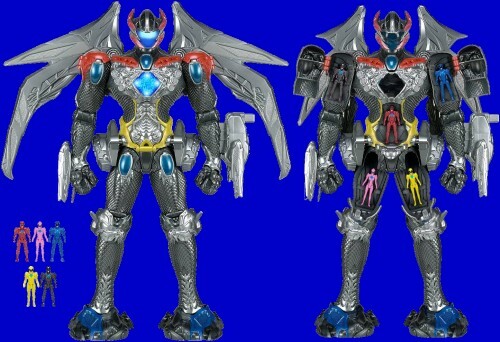 This is a large all in one Interactive Megazord figure that is not created by combining zords together. It features expandable wings, battle and flight sounds, light up helmet, chest and feet, wrist-mounted weapons and five individual cockpits for each included 5cm mini ranger figure. Red Ranger Mask: Put on the mask and get ready to defend the earth from evil!. Features voice and sound fx. 17cm. Morpher: Insert one of five included power coins and Morph into your favourite Ranger. Features sound fx. 15.5cm. Red Ranger Sword: Gear up with a light up blade and two modes 'Training' and 'Battle'. 60cm. All sold separately.